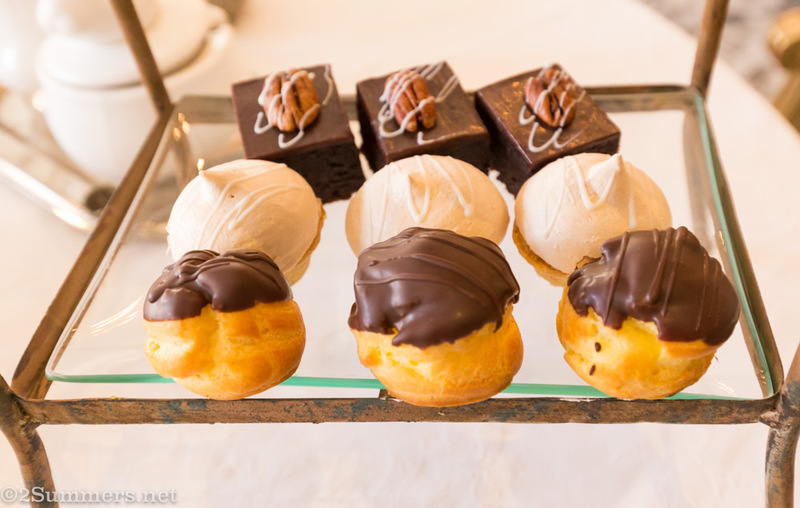 It is a well known fact that I love high tea, as does the rest of Joburg. 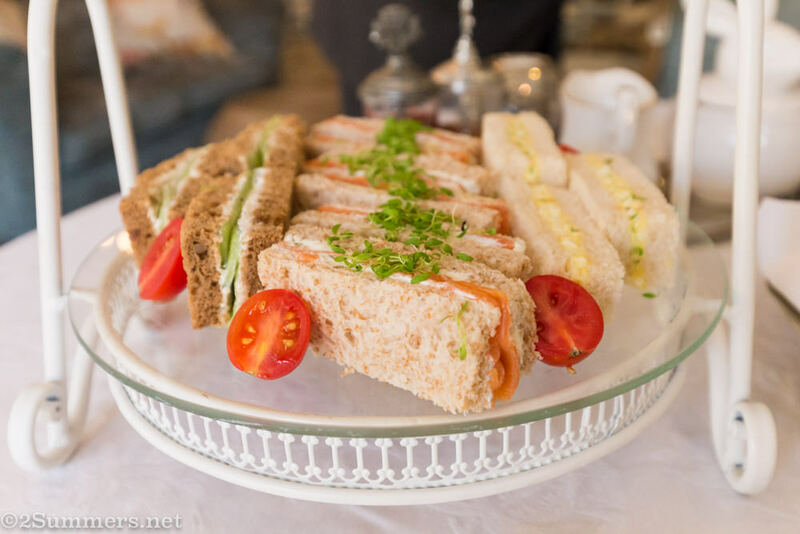 I’ve written about it a couple of times before (see here and here), and perhaps it will soon be time for a “Top Five High Teas in Joburg” post. 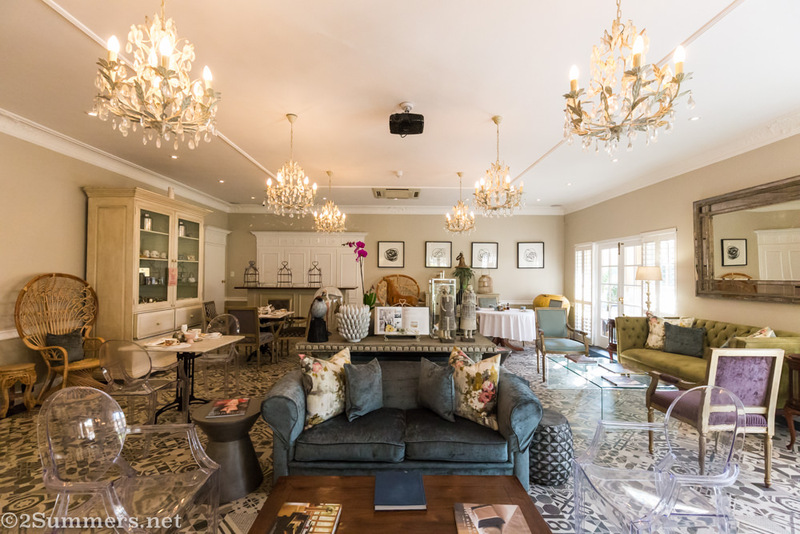 But for now I just want to provide a quick update about an excellent high tea that I enjoyed this week at the Fairlawns Boutique Hotel and Spa. As I’ve said before, I love traditional high teas. 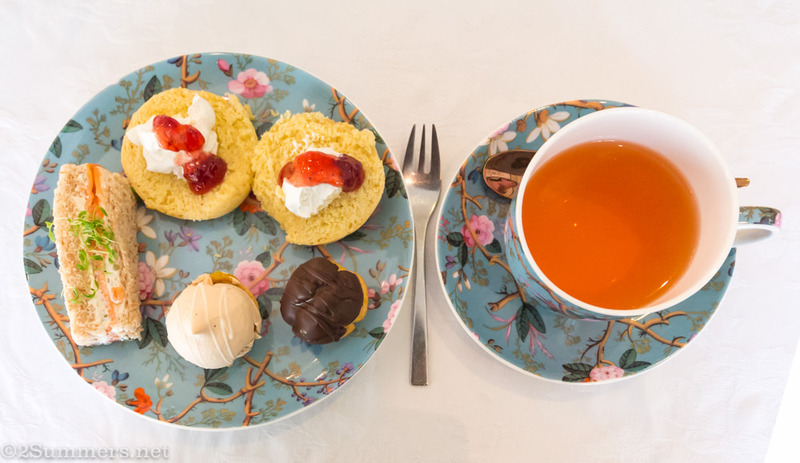 While I won’t say no to spinach mousse cups or expensive sushi on my tea table, all I really want are those cute little cucumber sandwiches, moist scones with clotted cream and strawberry jam, tasty mini desserts, and of course, good tea. You would be surprised at how many upscale high tea venues in Joburg don’t prioritize these most basic requirements. I attended a very expensive high tea in which the waiter didn’t seem to know what clotted cream is, and another in which there weren’t enough scones to go around and the waitress acted surprised when I ordered tea rather than cappuccino. But anyway, Fairlawns serves high tea at its best: traditional but also pleasantly quirky. 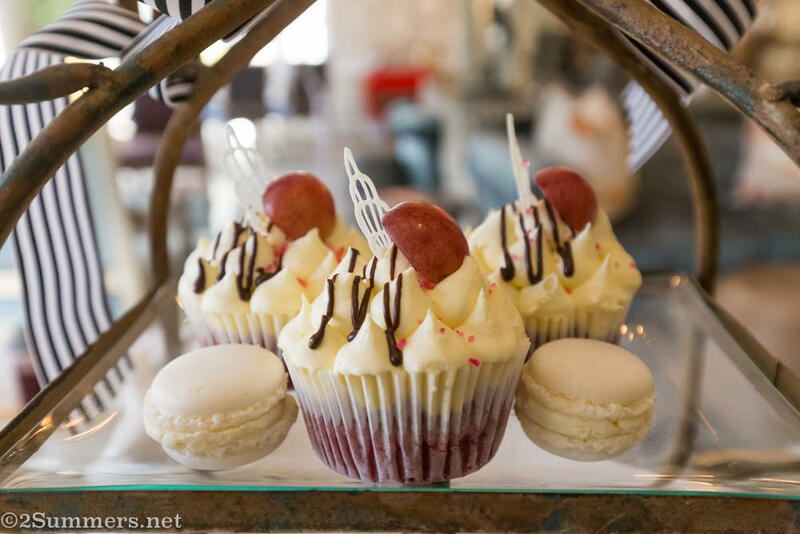 The sandwiches are perfect, the scones are fresh, the mini lemon meringue pies are mouth-watering. And the environment is exactly what I like — sunny, comfortable, and eclectic. The afternoon tea room at Fairlawns. Tea sandwiches. The egg salad sandwiches were my favorite. Bite-sized desserts. Unfortunately I ate too many cream puffs and lemon meringues and never got to the chocolate brownies. Red velvet cupcakes and macarons. Not totally traditional, I suppose, but I’ll allow it. It seems that no dessert display is complete these days without macarons and red velvet. I thought the macarons were just okay, but the cupcakes were delicious. The only criticism I can offer to the Fairlawns high tea is that I would like to have chosen from a wider, more upscale selection of teas. This is the one instance in which my afternoon tea preferences veer away from the traditional — I like looseleaf tea served in fancy glass pots, rather than bagged tea in metal pots. That said, the waiter prepared a delicious lemon rooibos tea for me (I think he just took regular rooibos and added lots of lemon) and I loved it. 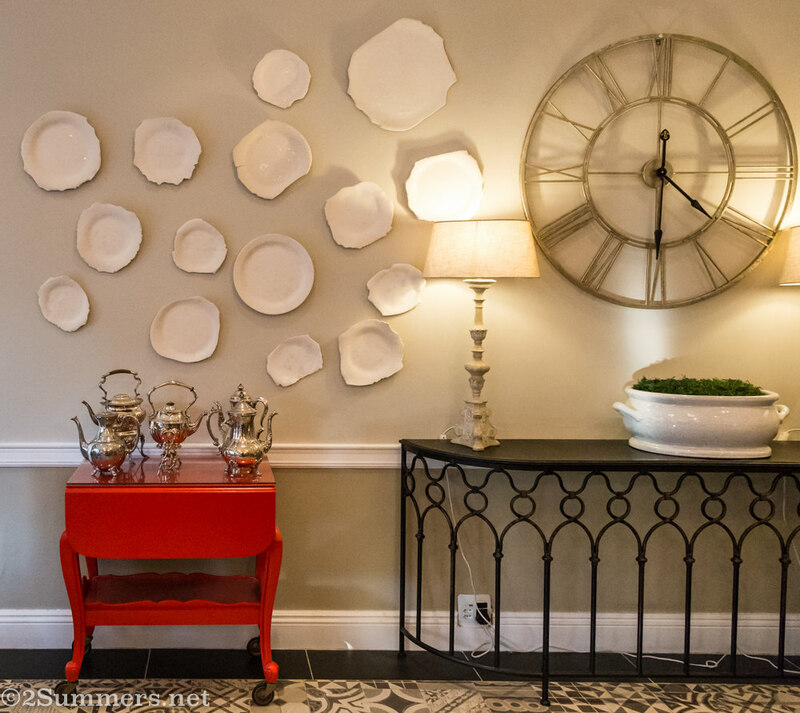 Fairlawns is currently undergoing a major renovation and I love the style of the place. It’s very high-end but without that bland, overly modern style that other luxury hotels in Sandton seem to favor. The room where we had our tea is a perfect illustration of that style: it’s quirky, almost to the point of being weird, but it just works. 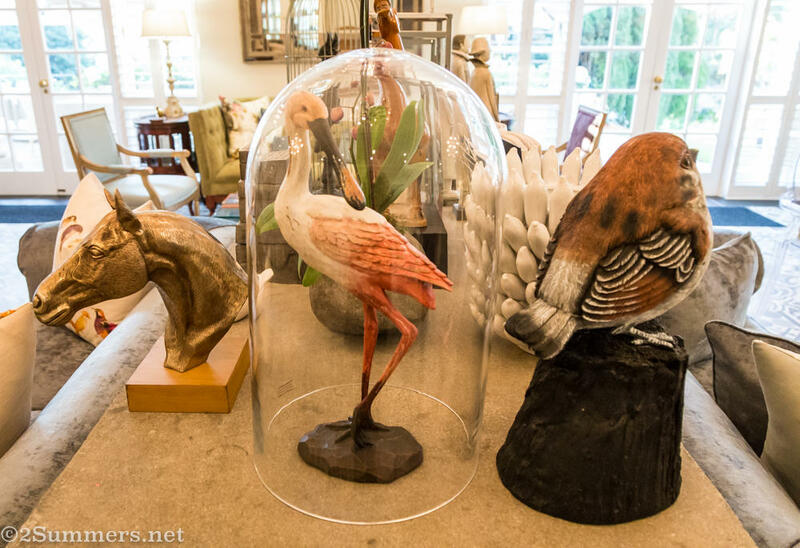 Why is this pink African water bird under glass? I don’t know. But I like it. Fairlawns is located in a pleasant residential neighborhood in Morningside, a few minutes north of downtown Sandton. I know what my fellow inner suburbanites are thinking — Morningside is far. But the journey north is worth it in this case. My high tea at Fairlawns was complimentary, and I was invited by the Johannesburg in Your Pocket Guide. Opinions expressed are my own. Fun and yum! $16 is a steal for an afternoon tea! I agree. Eating out in general is a steal in South Africa.